Issues such as Prohibition and the Ku Klux Klan caused rifts between the North and South in the Democratic Party. These crippled Davis' campaign. La Follette's Progressive's platform included disarmament, government ownership of railroads, farm relief, and labor legislation. This helped him draw liberal votes. Coolidge benefited from these developments. He also distanced himself from the scandals that rocked the Harding administration. 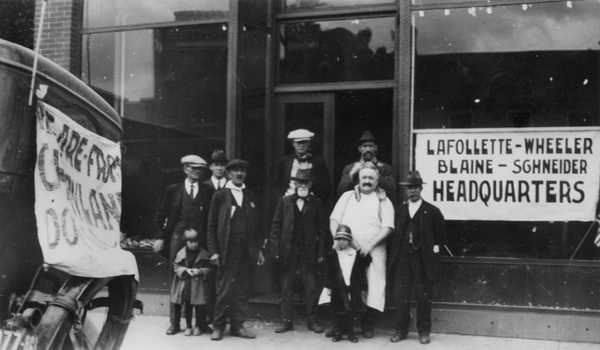 La Follette/Wheeler campaign headquarters, 1924. 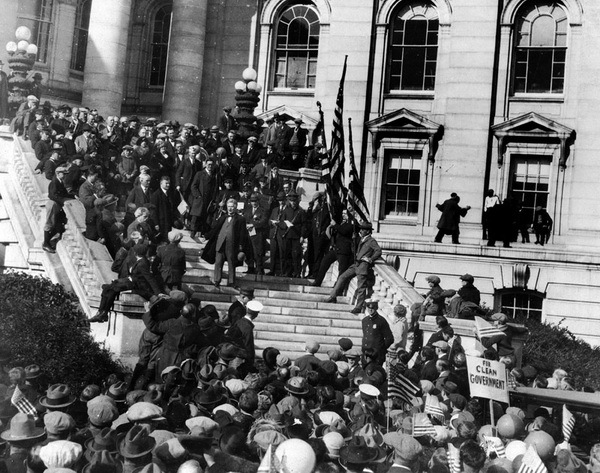 Robert M. La Follette addresses a crowd at the Wisconsin State Capitol, November 1924. 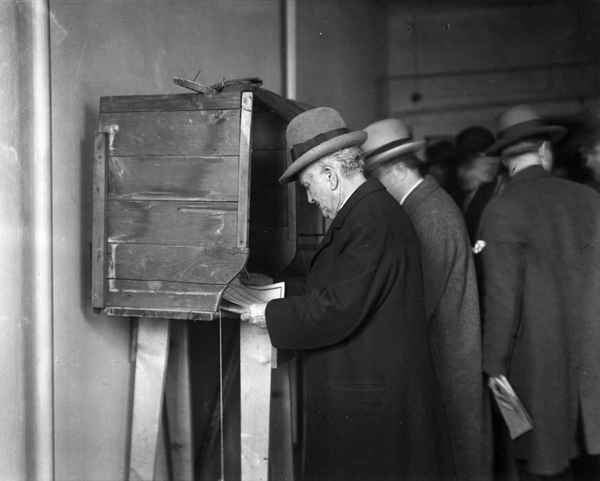 Robert M. La Follette casts his vote, Maple Bluff, WI, November 4, 1924.